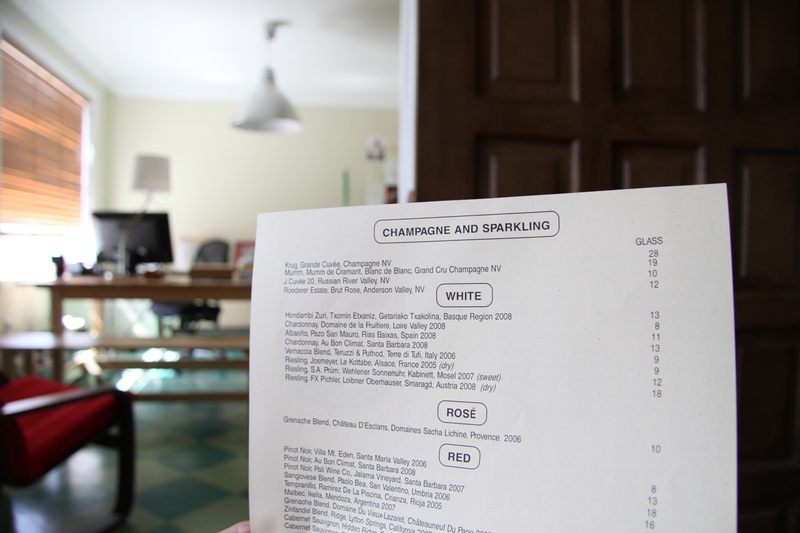 “The Granddaddy of Txakolina Producers” Only BTG at MGFD in FLA: Did you catch Eric Asimov’s New York Times column on Wednesday? This week The Pour splashed into Txakolina, a celebrated, refreshing white wine from Spain’s Basque region. Sommelier Eric Larkee has been pouring the 2009 Hondarribi Zuri (glass/13) all summer, making us the only restaurant in the state to offer wine from heralded producer Txomin Etxaniz by the glass. Travel Rag Love: Thank you to Conde Nast Traveler and Travel + Leisure magazines. 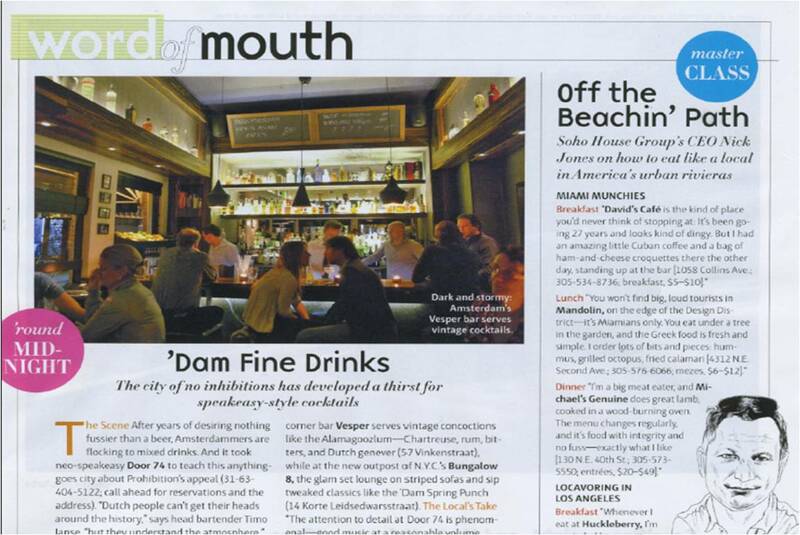 Both August issues include Michael’s Genuine Food & Drink Miami! In the latter, an anecdote about Michael stopping by to say hello to the writer’s dog Zoli (not the writer!) for a story on pet-friendly travel, and in the former a thumbs up from SOHO House CEO Nick Jones, as the place he’d recommend for dinner in Miami. James Beard and Blazing Saddles: Michael will cook dinner for 80 with chef Traci des Jardins and host chef Jonathan Lundy of Gratz Park, part of Cookin’ in the Bluegrass, 16 days of James Beard Foundation culinary events around the World Equestrian Games in Lexington, Kentucky. More on the menu and how bourbon is involved, as the event approaches.